Sensi Seeds is the multifaceted company of Ben Dronkers, who founded it in 1985. Ever since then he and his family and friends have continued their mission to do whatever it takes to enhance, protect , promote and love cannabis in all its forms, and mostly to protect and further develop its genotypes for future generations to come. In the early eighties Ben Dronkers himself went to various places in the world to find the original genetics of important strains such as Afghani and Haze and succeeded in bringing them to the Netherlands to further develop new and improved genetics and top-quality cannabis seeds. Sensi Seeds is responsible for the birth of many stable hybrids and deserves a top position in the history of commercial cannabis. We can offer you many fantastic and legendary strains from Sensi Seeds to easily grow in your own home to finally experience the sensation of smoking the results of 25 years of research and breeding! Super Skunk from Sensi Seeds is a specimen of critical acclaim and critical effect. A world beating cross of Skunk #1 and a highly resinous Afghani, she emerges as a top performing protege; appealing to commercial and seasoned growers alike. Made up mostly of indica genetics (80%), she hits hard with a crisp punch capable of KO's. Being one of the most easy to grow and beloved Sensi Seed strains available, Sensi Skunk has now been lovingly bred into an even easier to manage feminized variety of cannabis seeds. With a flowering time of 45-50 days, large potential yields, and a moreishly tasty flavour, Sensi Skunk is set to become the bread and butter of your grow room. Big bud from Sensi Seeds has undergone a feminized transformation, emerging as a far more vigorous, productive and potent version. As with the regular strain, Big Bud feminized is an enormous producer. Growing relative tall, she still remains easy to handle and beautiful in appearance. Fully utilizing her Indica roots, Big Bud induces a powerful physical stone that hides Sativa undertones. A silver budding beauty from the expert cultivators at Sensi Seeds, Silver Haze proves herself as a perfect addition to the Haze family tree. Easy-to-grow, fast flowering and potent, she dazzles on every level. Mostly Sativa in nature, she unloads a mind-bending buzz - sure to please Sativa lovers to no end. Backed by stellar genetics, Silver Haze yields in both quantity and quality. An astonishing new arrival from Sensi Seeds, Jack Flash #5 brings together two formidable strains to make one unbelievable high-yielding hybrid. Vigorous, fast flowering and incredibly potent, Jack Flash #5 impresses on every level; bring a truck load of bud to the table. With a mix of 65% sativa/35% indica, she boasts a mixed high, ready to test even the most experienced of smokers. Sensi Seeds plucky new powerhouse Northern Lights #5 x Haze is a masterful hybrid that fully deserves all the accolades she has won. Made up of 70% Sativa genetics, she grows with vigor, speed and beauty - producing buds that are dripping in resin. A relatively tall specimen, Northern Lights #5 x Haze yields in both quantity and quality. Potent in effect, she packs a mind-blowing buzz. The feminized Skunk #1 Automatic is the next, the third stage of Skunk #1. After the original one had been released over 30 years ago, a feminized version followed and now they took it to the autoflowering level. 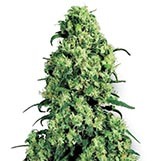 As soon as 4 weeks have passed, this new Skunk will switch to flowering and starts to develop large, candle-shape buds covered with orange pistils and white crystals in no time. The feminized Northern Lights by Sensi Seeds is one of the three cornerstones of cannabis breeding and has a strong influence on the grower and blower communities for over 30 years now. The short flowering period of only 45-50 days and the heavy high-quality yields within such a short span, plus the quality and aromas and flavors of the end product made it win cup after cup. 90% Indica. The feminized Northern Lights Automatic by Sensi Seeds is the result of meticulously crossing NL #2 and NL #5 with a carefully select feminized and autoflowering Indica and then crossing it back with the parent strains. This tuned NL has the potential to race from germination to harvest and its final height of 60-90cm within only 11 weeks. Perfectly pimped version of a cornerstone of weed. 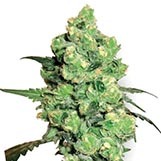 As one of Sensi Seeds most popular and beloved Skunk strains, it only makes sense that they have now produced an automatic version of this absolute classic variety of cannabis seeds. Made from mixing Sensi Skunk x Ruderalis, Sensi Skunk Automatic is an absolute powerhouse, producing decent yields in as little as 45-60 days! Sensi Seeds released Shiva Shanti 2® in the early 90’s and created a strain with an unbeatable price-performance ratio. It’s a versatile, resilient, and indica-dominant variety, hence a viable option for inexperienced growers who like to experiment with cannabis cultivation at low costs. Shiva Shanti 2® offers a rather mild smoke and completes its short flowering period in just 45-55 days. You are looking at Sensi Seeds’ legendary Mexican Sativa. It combines genetics of the famous Oaxacan line, which was used to create a number of highly potent Haze varieties, with Durban Poison and a fast-flowering Indica from Pakistan. Although its genetics are greatly influenced by Sativa (70%), Mexican Sativa finishes quick, in just 50-70 days of flowering. Growers across the globe value the set of properties Skunk No.1 has to offer. If you are looking for a variety that is equally reliable yet provides an improved flavour profile, consider growing the classic Sensi Skunk. This 80% indica-dominant strain is easy to grow, completes its short flowering time in 45-50 days, and the taste is much sweeter compared to traditional Skunk. The regular version of Sensi Seeds’ Skunk No.1 amazed growers and breeders back in the 80’s and remains one of the best strains ever created. It is nearly impossible to find a strain that can keep up with the classic 65% indica-dominant Skunk No.1 – a strain that has shaped cannabis culture. Skunk No.1 has a flowering time of 45-50 days and sets benchmarks in all aspects of growth. Sensi Seeds’ Hindu Kush is a purebred Indica and only available as a regular, non-feminized seed. This highly stable Afghan genotype was created by selecting and crossbreeding the best-performing Hindu Kush landraces over countless generations of plants – consistent results, uniformity, and a short flowering time of 45-50 days are key properties. Exquisite Afghan hash flavours included! Sensi Seeds released several strains in the early 90’s to celebrate the merger of two collections of cannabis genetics – Shiva Shanti is one of these evergreens. Ben Dronkers, the founder of Sensi Seeds, named Shiva Shanti after his twin daughters emphasizing the great confidence he had in this crossing of Garlic Bud, Skunk No.1, and Kush. Shiva Shanti finishes in 50-55 days and yields heavily. Do you live in a European country where outdoor growing can be challenging due to the annoying mould issue? Don’t toss in the towel just yet – Early Skunk by Sensi Seeds has what it takes and is suitable for outdoor growing in colder climates like no other strain. It combines Skunk No.1 with Early Pearl and produces extra-large yields in a flowering period of 55-65 days. Today, Sensi Seeds is one of the most renowned cannabis seed banks on the planet. Although it all started with one man’s passion for cannabis, the company has grown into a legendary titan over the decades, getting involved in every aspect of the cannabis community. 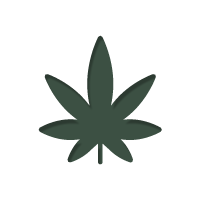 Now they have branches that reach far beyond cannabis breeding, with various aspects of the company specifically dedicated to the advancement of industrial hemp, as well as another dedicated to educating the public on the many benefits cannabis has to offer society – helping dispel the myths perpetuated by the War on Drugs. Sensi Seeds is more than just a seed company; it is a part of the lifeblood of the cannabis movement. Everything Sensi does is done by putting the plant first. With this in mind, here is a rundown of Sensi Seed’s history, giving you a glimpse into the core values of this seed bank – one of the first to offer cannabis seeds to the general public. Sensi Seeds’ story all comes back to Ben Dronkers, the founder of Sensi Seeds. It was back in the 70’s when Dronkers first got into growing cannabis that the insatiable appetite for knowledge took hold. Not only did he start collecting seeds, but he also worked closely with botanists, researchers and even farmers to grasp a better understanding of the plant. Over time, Dronkers concluded that, irrespective of growing skill or care, the core genetic quality of a strain dictated its potential for growth. With this knowledge firmly in hand, he set about exploring the world, collecting cannabis from across the globe; cataloguing and documenting the particularly impressive examples he found. Everywhere with a rich history of cannabis cultivation, Dronkers visited, and the collection of top-class sativa and indica seeds he brought back home with him in the 80’s would be the foundation of Sensi Seeds’ breeding program. With these, he began to experiment, crossing the various strains he had collected and working to stabilise them into all new varieties of cannabis. It was around this time that the first wave of US hybrid strains hit the scene, such as Skunk and Haze - and Dronkers was one of three Dutch breeders to get his hands on them. This only skyrocketed his knowledge of breeding and allowed him to further bolster and strengthen his breeding program with all new genetics. In 1985, Dronkers took his creations and founded the Sensi Seed Club – a club for connoisseurs, and the first iteration of Sensi Seeds. With this, his “hobby” breeding took on another level, and the club worked to centralise their growing, as well as standardise the entire process involved. It led to a need for a newer, bigger area to work with – which is when Dronkers went official, obtaining the facilities required to grow, monitor and document his various cannabis strains with scientific precision. It was the true beginning of the Sensi Seeds we know today. Of course, the story for Sensi Seeds did not end in the 80’s. It was in 1986 that they first opened up the Sensi Seed Club shop in Amsterdam, supplying their genetics and those from The Seed Bank - a company founded by another Dutch breeder who received the first US hybrid genetics. In 1991, Dronkers bought The Seed Bank, combining the companies and expanding their genetic library even further. Since then, Sensi Seeds have continued to hunt down world-class genetics and use them to innovate. Such results include Mother’s Finest, Big Bud, Skunk #1, and Master Kush – all renowned favourites among connoisseurs, veterans and novices alike. In 2006, Dronkers was also offered the opportunity to buy the Flying Dutchman seed bank, another of the Dutch originals. This further augmented the Sensi genetic pool and ensured that the Flying Dutchman legacy was maintained. Today, Sensi Seeds sit in the halls of fame as one of the most responsible, knowledgeable and reputable seed banks there is. They continue to push cannabis breeding to its limits and consistently amaze with the strains they produce. As you can imagine, they have quite a few Cannabis Cups under their belt. Sensi Seeds supply all their cannabis seeds with two layers of protection, ensuring safety and quality every time. Firstly, seeds are housed in a plastic forward surround for added durability. This plastic is attached to the strain card, which details everything you need to know about it, including its general characteristics such as average height, yields and growing time. On the back of the packet, there is a small perforated section of cardboard, giving easy access to the plastic pod the seeds are housed in. To add extra protection to the seeds, Sensi Seeds take all of the above and then place it in a sealed Sensi Seeds box, ensuring they get to you safe and securely. 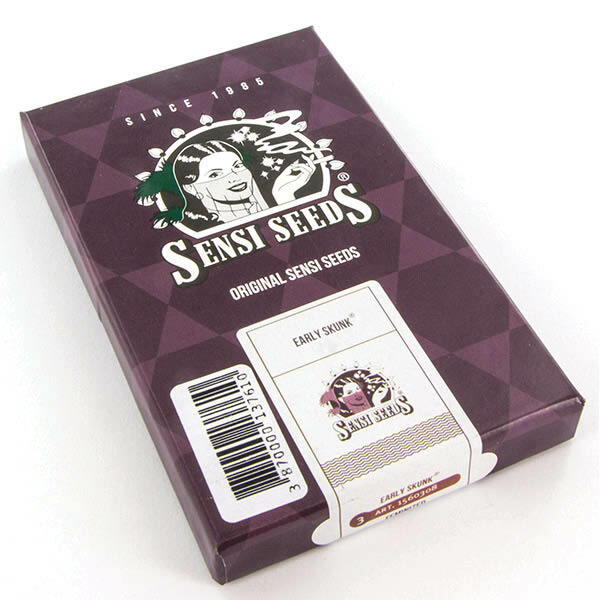 Please note, the Sensi Seeds packaging is not resealable once opened. If you do not intend to use all seeds at the same time, ensure that you have suitable seed storage lined up. Sensi Seeds give feminized and automatic seeds different coloured packaging to help easily distinguish between the two types of seeds. 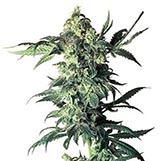 Sensi Seeds’ cannabis seeds can be bought in quantities of three. Sensi Seeds have been in the cannabis breeding business for a very long time. 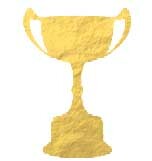 So it is probably no surprise to know that they have won numerous awards over the years. Here is a collection of some of the best! As a list of 100+ awards can be pretty daunting to read, we have put together all of their 1st place wins, so you can see the strains that really shine through. Dating back to the 1990’s, Super Skunk has stood the test of time, remaining as popular today as it was back a couple of decades ago. So, for the breeders of Sensi Seeds, it only seemed right to produce an autoflowering variety. Maintaining her short stature and fat buds, Super Skunk Auto will go from seed to harvest in just under 8 weeks. The result is a sweet, dank smoke that induces an instant uplift followed by a gentle, but deep body stone. Perfect for chilling. Early skunk, as the name suggests, has a very fast finishing time, making her an excellent choice for growing outdoors in cooler climates. She will reward you with super-large yields before the frost has a chance to set in. She induces an indica dominant body stone that rides a gentle high. Early Skunk has an indoor flowering time of 55-65 days. This strain was one of the first US hybrids to hit Europe, and Sensi has refined and perfected it into a complete all-star. It is quite literally the melding of polar opposites, combining the soaring heights of a potent sativa, with the unfathomable depths of a pure indica. The result is a high that does it all, skyrocketing the mind while unwinding the body. To top it all off, Northern Lights #5 x Hazed has a flowering time of 65-75 days and produces some insane yields. An indica dominant strain with an impressive bounty, Big Bud lives up to her name. She is highly versatile, responding well to training and advanced growing techniques, and grows with a stable reliability. Her bud produces a succulent spicy sweet flavour and induces a knockback body stone. Skunk #1 by Sensi Seeds is an old-school legend that has helped shape cannabis breeding into what it is today. Many hold her in extremely high regard, and a benchmark for stable, consistent, and high-quality results. She is indica dominant, flowers in 45-50 days, produces large yields, and induces a potent combination of being both stoned and high at the same time – uplifting the mind while relaxing the body. This 90% indica strain well known throughout the world. She is easy to manage, highly resinous, potent, compact, and fast growing – with a flowering time of 45-55 days. It is a well-rounded combination that has made her a popular with growers of all skill, allowing everyone to achieve top-shelf results. Shiva Skunk is considered to be one of the most potent skunks available on the market, making her a powerhouse indica. Created from the mix of NL #5 x Sk #1, she was an instant hit upon release to the market and remains just as popular to this day. Expect generous yields of some truly intense bud. Shiva Skunk has a flowering time of 45-55 days. Aimed at the grower with a limited budget, but still wants to achieve award-winning results, Sensi Skunk covers all the bases. She is easy to grow, vigorous, has a fast flowering time, produces generous yields, and induces a classic skunk body stone. If you want a classic of high calibre, this straightforward Skunk is the one. Sensi Skunk flowers in 45-50 days. Super Skunk was one of Sensi Seeds first forays into hybrid breeding, combining Skunk #1 with an Afghani resin powerhouse. The result is a skunk that grows with a strong vitality and produces large yields of pungent, potent bud. She should delight novices and connoisseurs alike! Super Skunk flowers in 45-50 days. Expect dank flavours and a deep, couch-locking stone!